CRUDE US OIL FIBS IN PLAY. 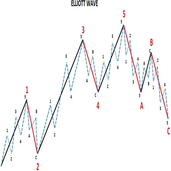 Probable long call with stop loss of 10113 in truncated wave C option. Nifty long call with stop loss of long call with stop loss of 10270.
likely to make new high soon. 11300 NIFTY LEVELS SEEMS POSSIBLE NOW. Granules may soon breakup and make new high. within next couple of days we may have more clarity.